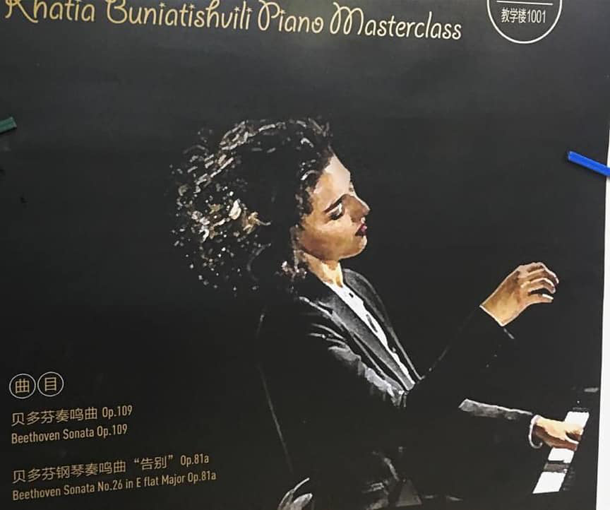 Born in 1987 in Georgia, Buniatishvili began studying the piano under her mother at the age of three. She gave her first concert with the Tbilisi Chamber Orchestra when she was six years old, and appeared internationally at age 10. She studied in Tbilisi with Tengiz Amiredjibi, and in Vienna with Oleg Maisenberg. She speaks five languages fluently: Georgian, French, English, German, and Russian.